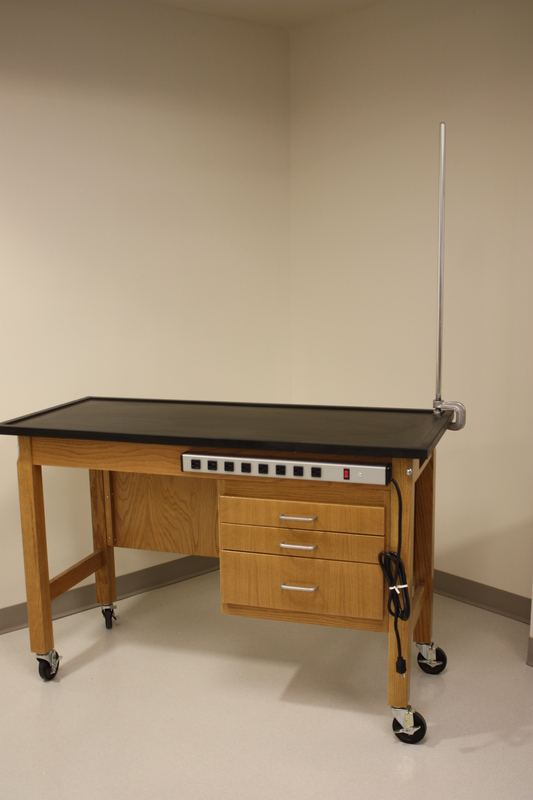 The Mobile Station allows the instructor to move about the room for personal observation and instruction. The chemical resistant top and electrical ability increases the versatility of this unit. In addition, the cabinet provides space for storage and organization of supplies. 54″ L. X 24″ W. X 36″ H. Overall. Mobile Instructor’s Demo Unit provided with one storage cubical with three drawers. Assembly is provided with 110V electrical raceway with three plug-in receptacles; full length modesty panel; and one clamp on upright rod assembly. Rod storage is incorporated into the frame.